Bolivian Thoughts opinion: Close to $200 billion dollars of Bolivian revenues were wasted over the last 12 years. The demagogue ochlocrat government led by the coca caudillo is running out of money and in order to purchase “loyalties and votes” needs access to more money … so what better to tax e-commerce?! Bolivia’s main source of employment comes from informal economy. With smuggling goods been sold under the umbrella of “minor business” status, simplified regime they say … while those individuals have huge numbers in sales and they are the ones that do not pay taxes. Of course they are influential under this petty government. Luxury buildings sprout in El Alto, for example and their source of income is unknown … so, this government aims to tax those individuals who are selling their own goods, as they need cash to buy their staples, very few may engage in business at a micro level, and now their competitiveness will also be damaged, so over the long run fewer business and more unemployment is envisioned under this pernicious government, yet they are targeted. This government is panicking as they need funding to perpetuate in power … not a good sign for what is coming. 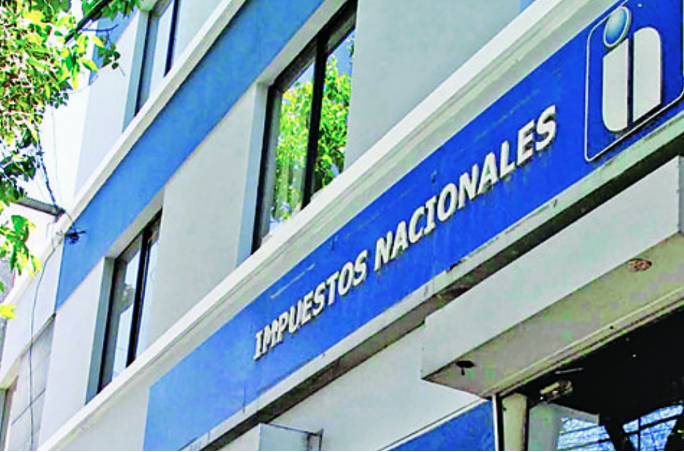 The National Tax Service (SIN) works on a regulation to regulate electronic commerce, a task aimed at broadening the base of taxpayers in the country. “We are seeing the possibility of implementing a regulation through National Taxes, to regulate electronic commerce, internal and external electronic commerce, that is, from Bolivia to the world and within Bolivia,” announced yesterday the president of the Tax Service, Mario Cazón. The SIN noted a notable increase in transactions made through the Internet and WhatsApp, means in which goods and services are sold and electronic charges are made. In that sense, Cazón pointed out that people who make use of technology should be identified to market products or provide a service, since it is a new form of business that is not yet regulated or provides taxes to the State. “It is a subject where not only the INS participates, other entities of the State have to participate. It is a fairly broad topic, a bit complicated because the work is broad (but) we already have the line, the scheme of how it has to be done. We are in meetings with other entities, such as those that regulate the financial issue,” said the head of the SIN. Also, yesterday, National Tax officials handed out the prizes to the winners of the campaign “Invoice of happiness”, whose draw was made on January 28. The beneficiaries have two months to collect their gifts at district administrations or regional agencies of the SIN. The list of winners can be found on the web page impuestos.gob.bo. The next draw of the “Invoice of happiness” will take into account the fiscal notes issued between January 1 and June 30 of the present year. In the next draw, 260 prizes will be awarded, a figure that can be increased if the winners do not collect the already drawn. This entry was posted in Bolivia, Business, Economics, Politics, Social Unrest and tagged corruption in public office, demagogue, government failures. Bookmark the permalink.